First, a really interesting video answering a bunch of questions you probably have never thought about. Or maybe you have! And, it’s also by Hank Green. How cool is that? Next, a tag I saw on Christine the booktuber’s channel, polandbananasbooks (haha, Emily, I saw it before youuu!). I present you, the Social Media Book Tag! Twitter: What is your favorite short book? I am going to have to look at my shelf for that one… Ah, here we go, an old favorite. The Summer Before Boys by Nora Raleigh Baskin, a 196-page MG contemporary. Facebook: A book you were pressured into reading. Tumblr: A book you read before it was cool. See, I don’t know about this one. Harry Potter was written before I was born, so sor-ray! I was a bit late in Percy Jackson. Also TFIOS, Divergent, The Hunger Games… Yeah. Ooh, ooh! There wasn’t much hype when I read Cinder. Or Dork Diaries (don’t judge me!). So, yeah. Those. Myspace: A book you don’t associate yourself with anymore. I don’t know. As they say, once a fangirl, always a fangirl. [Haha!!! Yeah, I’m psycho.] I mean, even books I haven’t read in decades, like Nancy Drew and The Magic Tree House I still say, “Oh, I remember those!” and being acting like a huge fangirl and being all nostalgic. I feel like if you’re ashamed of a book, or just are like, “Oh, I totally didn’t read that,” you’re being fake or something. And I don’t like fake. Instagram: A book you want to model with at all times. I love looooots of books, so, maybe…all of them? Haha, no. I’d say Harry Potter, because I’m such a fangirl, even though it ended a while ago. And I do love the art. That, or the Lunar Chronicles, because I love those too, and the covers are pretty! YouTube: A book you want to see turned into a movie. Oh yes yes yes!!! I think about this all the time. It’s a series, actually. The Heroes of Olympus. If they do a good job on them, instead of the PJO movies. Those were absolutely devastatingly horrid. Goodreads: A book you recommend to everyone. I’m not going to choose a super popular, super hyped book, because what’s the fun in that? So I’m choosing The Apothecary by Maile Meloy (it’s her real name!). It is funny, and about alchemy, so science with magic. It’s super cool! That was the end of the book tag; Christine’s video is here. 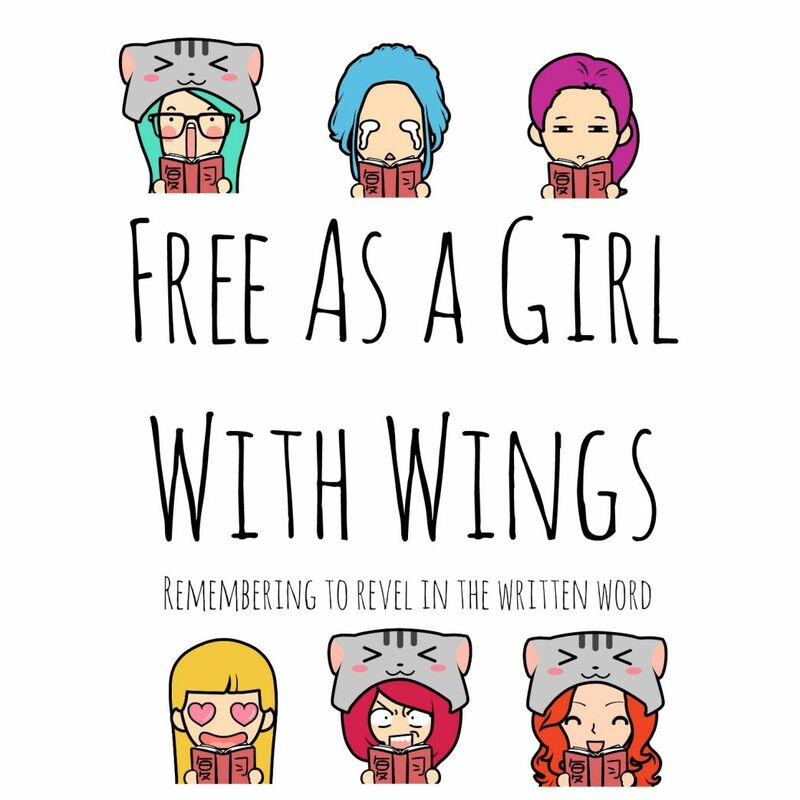 I really wanted to post about writing, and what it does for me, so…here it is. Writing lets me forget everything wrong in my life. Even when I read, the thoughts and emotions still lurk in the back of my mind and I get distracted. But when I write, I just feel the characters. I feel their pain, not mine. I recently wrote a scene in Nakoma about her practicing throwing her dagger, and although I had a lot going on in my life then, I was able to tune it all out and just write about the feeling of Nakoma arcing her arm back, and throwing the dagger, letting it sink into the tree. It was hypnotic. Have a great rest of your day; I will leave you with this picture. What a great way to start/end a story! Last night, I turned on my old Taylor Swift tunes and curled up in bed with Amy and Roger’s Epic Detour by Morgan Matson. I heard of the book first from Christine the booktuber aka polanbananasBOOKS. She is great. So, I was watching one of her videos about cutesy, warm-and-fuzzy feeling contemporary novels, and this book came up. It sounded really good. Yesterday, when we went to the library, I found it! And finished it this morning. Oh, yeah, I’m Super Reader! 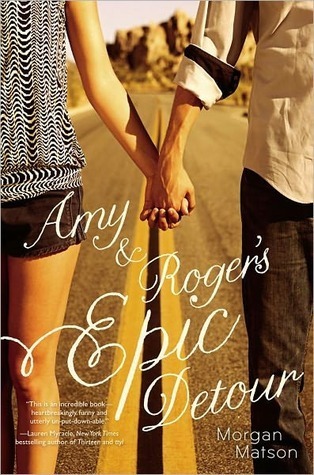 Amy and Roger’s Epic Detour isn’t a love story, despite the cover, which shows a boy and a girl holding hands on a highway. The cover is very misleading. That scene never even happens! But Amy and Roger don’t actually know they have feelings for each other until page 321. And there are 343 pages in the book! And then, it just…ends. No more. I see what Christine meant about contemporary novels being very frustrating. Of course, this is only one book. Still. Here’s what happens in the book: Amy’s father dies a few months before the book starts. Amy is living on her own in their house while her mother’s in Connecticut and her brother is in rehab. Then, her mother sets it up for her to drive with this guy, Roger, to Connecticut. They end up taking their own route and doing little “errands” to throw their problems out the window. I really like how there are flashbacks in the story, so one chapter will be present day and then you’ll go six months back in the next chapter. It gives the reader insight on why the characters do things and what happened in their past life to make them feel this way. For example, in one of the chapters there’s a flashback scene when Charlie, Amy’s twin brother, is going to a party on a Tuesday night and wants Amy to cover for him. She gets angry and threatens to tell their parents, but she ends up giving in. Throughout the book, there are little things Amy doesn’t want to do that seem odd but insignificant. She won’t buy new sunglasses, even though it’s really sunny. She doesn’t want Elvis to be played in the car, even though she grew up with his music. The reader has to make inferences using the flashbacks to understand why she won’t do those things. I seriously had no clue why Amy wouldn’t just buy the sunglasses. I was like, come on, Amy, they are sunglasses. Just buy them! I thought she didn’t want to listen to Elvis because it was her father’s favorite music, and in the book he died only a few months before. Turns out, when her father died, she and her father were being serenaded by the King. A big mystery through almost the entire book is how Amy’s father dies. The story of how it happens begins on page 307. It’s a car crash, which is why she won’t drive. Her sunglasses shatter during the accident, and she won’t buy new ones. They were listening to Elvis. It all seemed to fit together once the story of how her father died was revealed. Another secret thing is Hadley, Roger’s ex-girlfriend. They end up taking a detour to see her so Roger can try to fix things between them. During the beginning of the road trip, Roger is always on his cell phone, and Amy pretends not to notice. He keeps calling Hadley, but she never answers. Eventually they make it to her estate, and Roger says goodbye. And that’s that. I highly recommend Amy and Roger’s Epic Detour to anyone that enjoys a nice, calm book once in a while, road trips, and a complex relationship. I like the pink one more. It’s Tuesday…You know what that that means? It’s time for Top Ten Tuesday! And this TTT I will be doing my top ten favorite car tunes, for Amy and Roger to listen to. They are in no particular order.